Because of the huge amount of data and information in the decision-making and strategic choices processes, basing decisions on information directly collected from the sources is not conceivable. A decision-making analyst becomes a fundamental pillar in both the corporate field and the institutional world. This role is becoming increasingly complex and specialized, critical within the cycle of the intelligence analysis, for the relationships that bind it to the other stakeholders, and for the methodological and technological tools that support it. 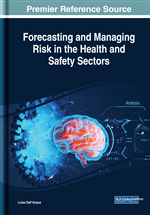 The purpose of this chapter is to explore the milestones of the intelligence analysis deriving from a close collaboration between social sciences, cognitive science, computer engineering, and ICT in order to respond to the different needs in the field of risk management, safety, investigations, and applied intelligence. Governments as well as business organizations constantly make decisions under conditions of uncertainty. In the realm of security and foreign policy this poses a strong challenge. In order to increase the efficiency of policy-making, governments usually create dedicated entities for these tasks. These could be in-house research departments, automatic data collection systems or traditional intelligence agencies. The States with advanced Intelligence organizations can be assumed to be more influential than states that lack this resource. Sometimes conflicts throughout history have been fuelled or even instigated by misconceptions and faulty evidence. That shows how much this resource can be crucial to guarantee a global sureness and stability (Fägersten, 2015). In the actual globalized world, the safety finds its place in the natural/engineering sciences and medicine. The similar concept, security, is a key concept for social scientists (see figure 1): it refers to the prevention of intentional threats that may harm human beings, their possessions or ‘acquired values’. Most of the States of the world have placed the need to adapt the instruments for the protection of their global security, both internally and internationally, using ever more consistently, given the nature of the threat, incisive information research modality, necessary to guide choices and prevent risks. The meaning of the national security concept varies according to the individual states and the changing of historical contexts. This concept maintains its stability over time in countries of consolidated democratic tradition, with strong social cohesion, characterized by an intense sense of belonging of citizens to the institutions, to draw characteristics and boundaries. On the opposite, there are those situations in which conflicts emerge between legitimate powers, vulnerability, as well as historical conditions of separation between citizens and the political establishment. Their likelihood of success depends on the ability to ensure continuous innovation, to adapt flexibly to the scenarios and to approach the result, in terms of security, so as the national community expects from the investment of its resources. The choices concerning intelligence require wide sharing and concrete actions, first of all by the political decision-makers who are, for the functions that are competing, the policymakers and the first users of the product. A public policy is based also on the decision-making analysis, a study of problematic situations characterized by complexity. Often by uncertainty comes from the difficulty to probabilistically establish the consequences of an action. The analysis of decisions should consider all the elements of the process and all their possible complex combinations (Dente, 2014), so as A. Einstein meant stating “Make everything as simple as possible. But not simpler”. Today, big data can make the identification of unexpected, extrapolating and mutant events more difficult. Paradigmatic (in the Sense of Kuhn): It aims at identifying crisis situations: the greater the number of crises the more likely a “black swan” could be present. A black swan is an event or occurrence that deviates beyond what is normally expected of a situation and is extremely difficult to predict. The theory of games, cryptography, distributed networks: different concepts come together to give life to a series of rules that takes the name of “block-chain”, a revolutionary technology that imposes a change of perspective in the basic logic that govern the military world, the finance, property, value, agreements, security, and many other aspects of our society. Applied to the Intelligence, it stands as a scientific and operational discipline (Calligiuri, 2016). destined to stabilize and harmonize political power. Cyber-Security: A set of technologies, programs, processes, and techniques designed and implemented to protect computers and computer networks. Intelligence: The analytical process for specific needs of anticipated knowledge, to allow decision makers to choose and adopt the strategy to be pursued and, consequently, to decide in a timely, convenient, and effective manner; the competitive intelligence regarding the business intelligence, or investigative intelligence applied to the fight against crime. Block-Chain: The possibility that many people can write entries into a record of information, and a community of users can control how the record of information is amended and updated. Intelligence Analyst: Who takes care of transforming raw data, collected through the various information channels, into material suitable for being understood and used by the management level. Cyber-Intelligence: A complex of activities planned and applied to identify, monitor, measure, and monitor information on digital threats, as well as data on intentions and activities of opposing entities.